This week is Staff Appreciation Week! 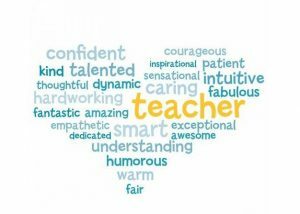 We love our WLMS Staff! As we near the end of the school year students in Math and Language Arts are taking their final MAP (Measures of Academic Progress) assessment of the year. This assessment is adaptive meeting students at their individual level and precisely measuring student progress and growth. I encourage you to ask your student’s teachers about the MAP testing that was completed this year and what it revealed about your individual student’s progress and growth. Throughout the year, we use this data from MAP in combination with data collected from other sources in the classroom to support students in reaching growth goals and to make instructional decisions to best impact positive outcomes for students. In addition, a team of teachers across the building who serve on our Instructional Leadership team engaged in Instructional Rounds this year. This process is based on the concept of medical practitioners making rounds to check the status of their patients. Similarly, each month we visited classrooms across the school to gather information on the status and progress of our school community. From this information, the team made decisions about how to support the learning of our teachers and staff through professional development opportunities. We will be continuing to build on this process into the next year at Westlake. As much as we may wish to have a manual on how to support our children as they grow up none of us were given that manual….at least I didn’t get one! Thankfully, our Westlake community is full of supportive adults going through this experience of raising children and going through middle school. Please consider joining our Parent Teacher Organization to get in touch with other parents who are experiencing similar questions and challenges in raising middle schoolers. Our next meeting is this Wednesday at 6:30pm and we would love to see you there! In the meantime, here is a Parent Toolkit resource that may be helpful to you. Can you believe this is the last week of April already?! This year has flown by and I’m so grateful to have spent it as part of the WLMS community. Thank you for sending your students to us each day. This is a busy time of year so please take the time to check out the upcoming events on the yellow sticky note on the top of this page. Also, check out last week’s blog post as there is information about the upcoming events listed there. If you have any questions please don’t hesitate to give us call. The end of the 2016-2017 school year is fast approaching! We are so thankful to be partners with you through this middle school experience….thank you for sharing your students with us! We want you to be aware of the important events coming up over the next few weeks as we finish out this school year. Final PTO meeting for the 2016-2017 school year- May 3rd-It’s never too late to join us for PTO! Please join us on May 3rd at 6:30pm. Incoming 6th graders Ice Cream Social (Parents and students)- May 9th- If you are going to be a Westlake 6th grader next school year bring your parents and guardians for an Ice Cream Social. We are looking forward to getting to know you better and welcoming you to Westlake. Please come join us! 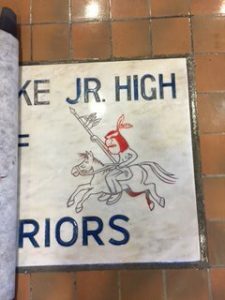 Over the course of this school year, the school community has begun looking at the use of the “Warrior” mascot along with the associated imagery used throughout the school. 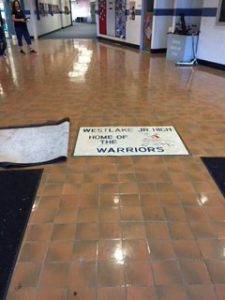 This was prompted by a student petition back in September asking for a marble tile in our entryway to be removed. 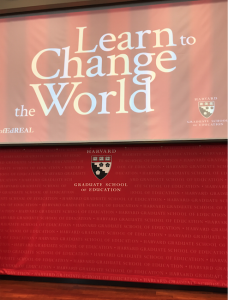 This has been an amazing learning experience for our school community uncovering how to advocate for change as well as learning more about the culture and experiences of others. We will be continuing to learn from this experience as we head into the next school year and, therefore, we would like to invite our parents and guardians to join our students in attending an upcoming community forum in order to hear from students, staff, and parents about this journey. Please join on May 4th at 6:30 at Westlake for a community forum. We invite your partnership on this journey and look forward to learning from one another in our school community. Are you a professional videographer or do you have skill in this area? I am looking for someone or a group of people who are interested in working on a video project now and through the next school year. If you are interested in helping Westlake with a project or would like more information please contact Dr. Heide at rachel.e.heide@adams12.org or call at 720.972.5200. I look forward to hearing from soon! Westlake Environmental Club is partnering up with Soles 4 Souls for our second annual shoe drive. Our shoe drive will take place from April 10 through 21. Please bring in any new, used, and gently worn shoes during this time period to one of your core teachers’ rooms. This will not only help the environment by preventing these shoes from going to landfills, but also helping people in poverty around the world get a new pair of shoes which can bring opportunities and comfort to these people’s lives. Step It Up Westlake, and let’s wear out poverty! We would like to thank you all again for your support of the school through our Check Drive! Initially, we had hoped to raise money for a digital marquee, however, based on the cost and work needed to put in the marquee we have decided to hold off on that project and use the check drive fundraiser to support teacher classroom mini-grants. The mini-grants would support individual teacher projects such as technology needs for the classroom, furniture, or other innovative projects to support the student learning experience. If you have any questions on this please feel free to contact the school at 720.972.5200. Thank you for your support of our school! Please make sure that students get a good night’s sleep on the nights before testing and encourage them to do their best. Thank you for your partnership in supporting our students! Welcome back from Spring Break! I hope that you enjoyed the time and are ready to tackle the last few weeks of school. 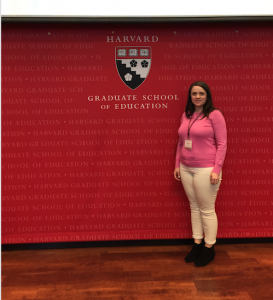 The week leading up to Spring Break I was very fortunate to have the opportunity to go to Harvard University and participate in the Race, Equity, and Leadership in Schools Institute. I gained such a tremendous amount from this institute which I’m looking forward to sharing with our school community into the future. While it was difficult to be away from our school community and my own family, the learning gained will pay huge dividends for our school. Thank you for your support our school and I look forward to partnering with you in our continued work together. We have several events and opportunities to get involved coming up this week and in upcoming weeks. Please check out the upcoming events link on the yellow post-it on the right hand corner of the page for more information on what is upcoming.